Birdwatching is a great winter activity for your preschoolers. With these “binoculars” they will feel like a pro! 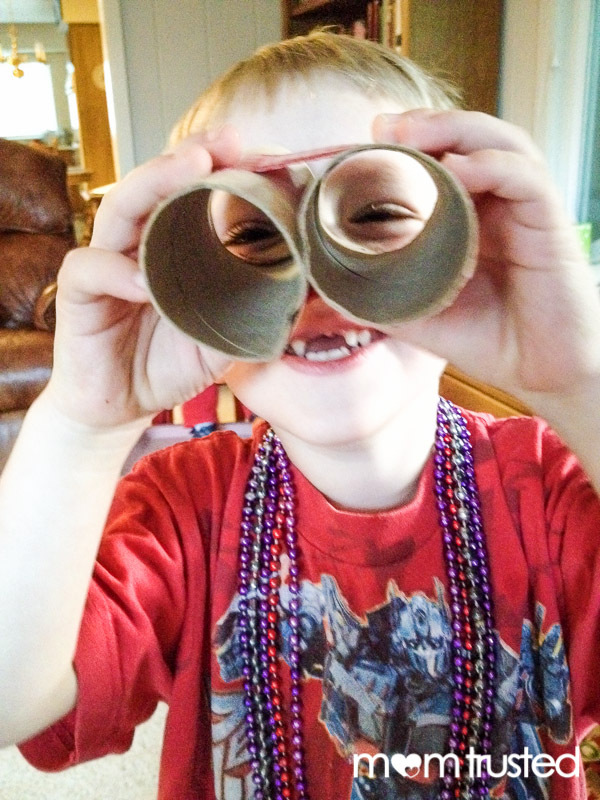 All you need is some fun duct tape and cardboard tubes. 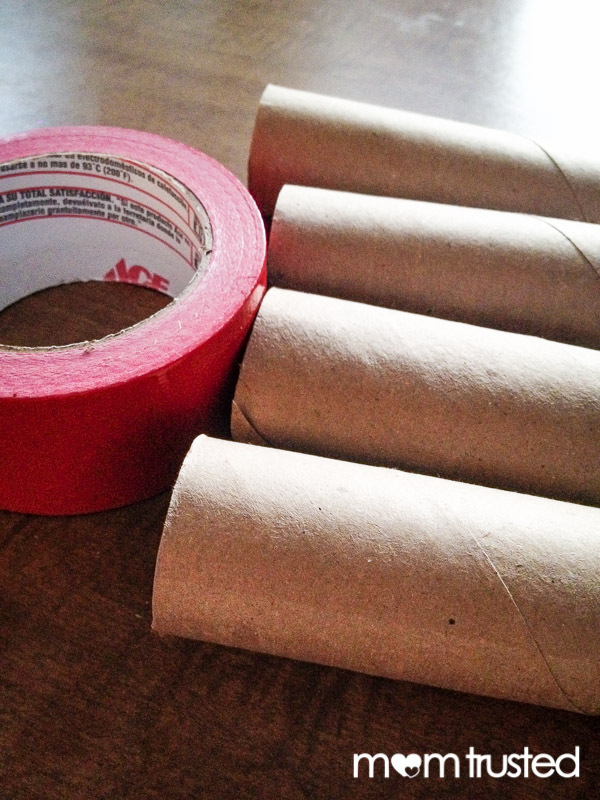 Save the rolls from paper products for this project. Lay out a strip of tape – twelve inches should be plenty – sticky side up. 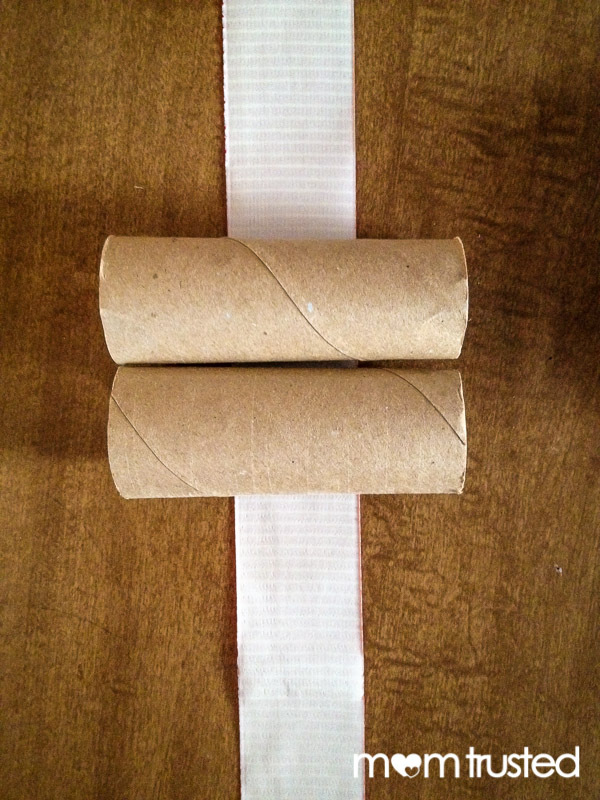 Lay two short cardboard tubes (toilet paper rolls or halves of paper towel rolls) on the tape side by side. 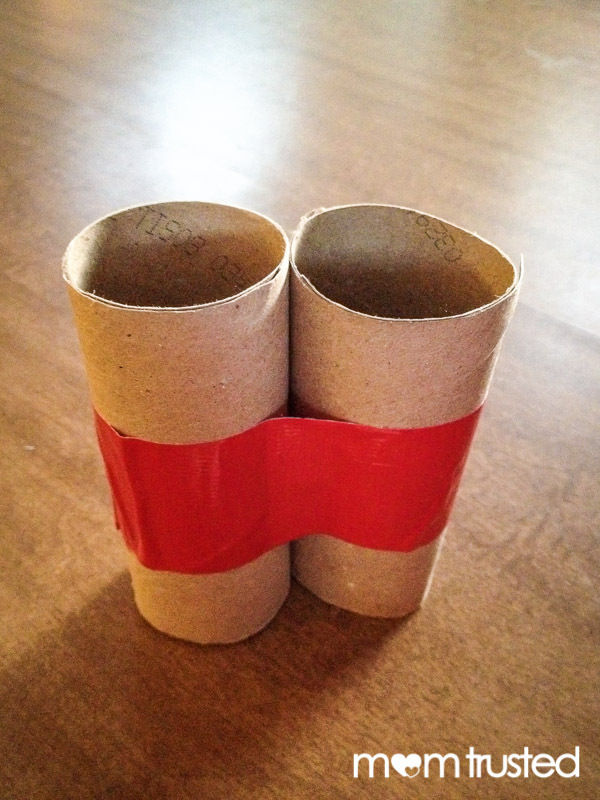 Wrap the tape up and around the tubes to make your binoculars. 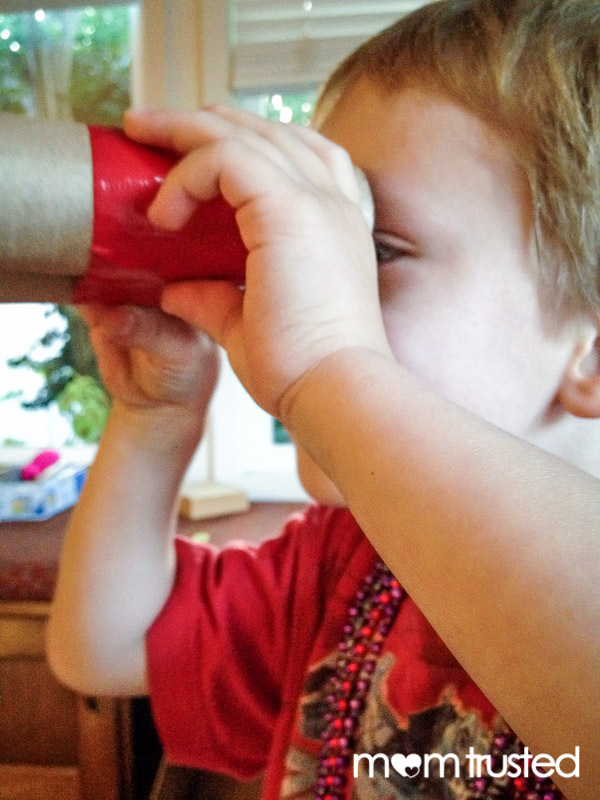 If your child is old enough for it not to be a hazard, you can add a length of yarn or string so they can hang the binoculars around their neck.